Sacha De’Angeli uploaded Easel on the Raspberry Pi turning it into a CAD workstation. The Raspberry Pi has been used for everything from a stand-alone PC to an arcade machine emulator but could it be used to run as a CAD workstation? The answer to that question used to be no, however Sacha De’Angeli over at Simple Switch Labs was able to turn that answer into a yes with the help of Raspberry Pi. 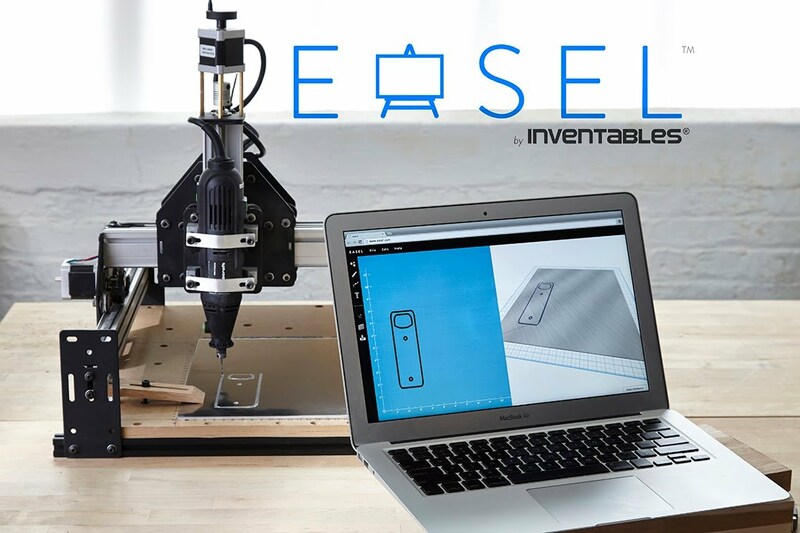 The secret to his success lies with Inventables’ Easel cloud-based 2D/3D CAD software, which does most of the heavy lifting for design and fabrication projects. Sacha loaded the Easel app on his Raspberry Pi (model B) running Raspian and the Epiphany browser to grab 2D and 3D files, turning them into g-code. That code is then sent to an Arduino (via USB) that’s running the GRBL CNC milling controller, which provides the needed instructions to run his Shapeoko milling machine. Suffice it to say, there’s no longer a need to use an expensive laptop or desktop to power a Shapeoko, which is notorious for producing dust when carving out materials. To read a complete walkthrough on how Sacha built his setup head on over to the Simple Switch blog.